Over the past decade, more and more people have become familiar with the phrase “Law of Attraction,” as books, movies and seminars about this topic have been catching the attention of an ever-growing audience. But the Law of Attraction is not just a recent phenomenon. 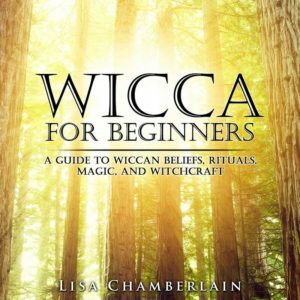 It has actually been discussed by writers and thinkers from different spiritual, philosophical, and occult backgrounds for several centuries, including many practitioners of magic. 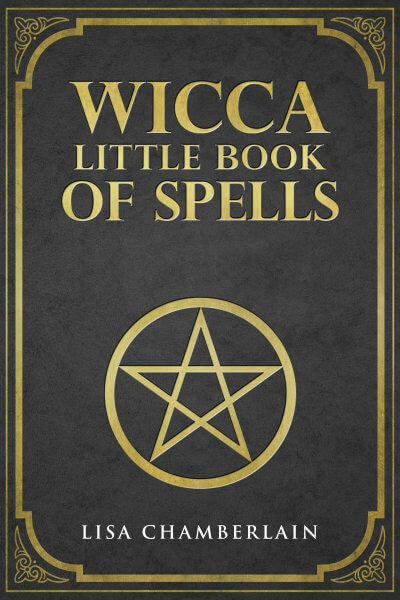 In fact, you could say that for Witches, this basic universal principle is inherent to all spellwork, whether the spell caster realizes it or not! Simply put, this principle is often summed up as “like attracts like,” or “thoughts become things.” It’s a way of explaining that the Universe responds to your thoughts and emotions, bringing you circumstances that align with your dominant vibrational frequency, which is determined by your beliefs about what is possible. For example, have you noticed that if you decide to believe that you’re having a “bad day,” experiences that match this belief will continue to show up all day long? Yet if you focus during the day on positive thoughts and feelings, you will attract positive experiences. Many people struggle with this concept, as it implies that everything that has ever happened to them—whether positive or negative—is a result of their own thoughts and beliefs. This is probably the biggest hurdle to get past when it comes to putting the Law of Attraction into deliberate practice in your life. Indeed, there’s a lot more to it than the fairly simplistic phrase “thoughts become things” would suggest, and a thorough understanding of how it really works is beyond the scope of just one article. However, you don’t actually need to grasp the whole picture in order to make the principle itself work for you. And if you have an interest in the magical arts, you’re already well on your way to intentionally utilizing the Law of Attraction! If you read widely about the Law of Attraction, you’ll find a diverse array of exercises and techniques for shifting your thoughts and beliefs in order to attract what you desire into your life. Most of these approaches tend to be rooted in one or more of three key tools: appreciation, affirmation, and visualization. While each is useful on its own, it’s the combination of the three that really allows your mind to make the needed changes. Appreciation, also commonly referred to as gratitude, is a focus on what is going well for you, whether you’re focusing on the immediate present moment, or on your life in general. When we make a point of listing and recognizing the positive in our lives—and truly notice the positive feelings that result from this focus—we are automatically shifting our attention away from the negative, putting ourselves in a place to attract more of what we appreciate. Affirmation is the act of repeating positive statements, whether silently or out loud, that describe the reality we’re looking to create. For example, if you’re wanting to increase your financial well-being, you might create an affirmation like this: “I have everything I need and more for a secure, abundant life.” If you’re seeking a relationship, you might say “I am in a healthy, loving relationship with my perfect match.” Affirmation requires a willingness to “fake it till you make it” by pretending that you have already manifested your goals. It can feel a little silly at first, but many people have found that through repeated practice, over time, their affirmations do become their reality. Visualization, as you might expect, is the practice of creating mental pictures of the circumstances we desire. You spend time imagining the house you want to live in, the dream job you’re seeking, or the state of health you’re looking to achieve. The goal of visualization is to create a vivid sense of your dreams coming true, but it involves more than just being able to see it in your mind’s eye—you also need to create the feeling of having achieved your desire, because this is what really begins the process of turning your thoughts into things. For the Witch, it comes as no surprise that these same three strategies are built-in components of magic. Most spellwork involves a combination of appreciation, affirmation and visualization, working together in a synergistic way that allows for the desired manifestation to come through on the physical plane. Visualization of the desired outcome of a spell is key to focusing your intention, and appreciating the outcome—in advance—is part of the power of the visualization. Affirmation is the spoken part of magic, the words that sum up and “send” the action of the work—whether you’re lighting a candle, charging a tool, or creating a talisman. As you speak the words of a spell, you are “sealing the deal” that you've set up by visualizing and appreciating the eventual outcome. Magic has often been defined as the use of focused intention to bring about a desired effect, whether that effect is an influx of money, a new relationship, an improved living situation, or something less tangible, like a clearer understanding of an existing problem. Those who work intentionally with the Law of Attraction are doing the exact same thing, though they may or may not be using spellwork to “boost” their progress. Of course, an experienced Witch’s understanding of magic is much more complex than the simple axiom of “thoughts become things”—there are other underlying principles at work in the Universe that go further in illuminating how and why magic works. But the Law of Attraction is certainly part of the larger framework, and once you have a clear grasp of “like attracts like,” your magic is bound to become more effective.